You are about to discover the area’s gentlest dental care center. Thousands of your friends and neighbors have come to trust our comfortable, relaxed approach, modern technology and friendly, attentive highly personalized care. Your convenience is just as important to us as your trust and the quality of your care. Come to Gentle Smiles of Wind Gap and enjoy the comfort of ultra-gentle dentistry. Call us at 610.863.4692 or fill out our online Request an Appointment to schedule your appointment. 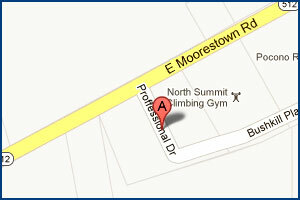 We're conveniently located off Route 33. We serve residents of Monroe County (Stroudsburg, PA, Saylorsburg, PA) and Northampton County (Wind Gap, PA, Nazareth, PA, Bangor, PA).